See Cutco knives in action and learn more about how they are made. How the Chef Knife is Made 02:53 The making of a Chef Knife from start to finish. How the Spatula Spreader is Made 01:54 See what it takes to make a Spatula Spreader. Trimmer 02:44 The utility knife of the kitchen, for slicing and trimming. Paring Knife 01:38 A peeling and paring essential. Butcher Knife 0:41 For larger cutting jobs. Slicer 0:47 A bread knife and much more. Chef Knife 02:15 An essential for chopping, dicing and mincing. Table Knife 0:40 Your everyday knife. Spatula Spreader 02:10 Mix, spread, slice and serve – all with one knife. Super Shears 01:16 Kitchen shears with power and performance. Carver 02:04 Carve with confidence. Cutco Cookware 02:27 All about Cutco Cookware. Cooking with Cutco Cookware 03:12 How to cook with Cutco low-moisture Cookware. Cutco Cutting Board 0:34 Cutting boards that are knife-friendly. 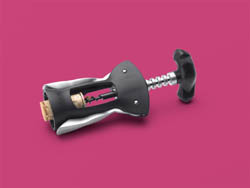 Wine Opener 0:44 Spend less time opening wine, and more time enjoying wine. CUTCO/KA-BAR Outdoorsman 0:30 Rugged is an understatement. #UAW Made 03:03 The people and pride behind the products at Cutco. Discover Cutco 09:46 The quality performance and service behind Cutco Knives. About Cutco 02:00 Hear the Cutco story. Cutco's Knife Features 0:37 Get to know the benefits of Cutco Knives. Double-D® Edge 0:25 The benefits of Cutco's Double-D® edge. Honing 01:23 Where straight-edge knives get their edge. Handle Manufacturing 02:08 The making of a Cutco Knife handle. Grinding & Polishing 01:55 The Cutco blade takes shape. Heat Treat 02:09 A critical process for Cutco's cutting capabilities and aesthetics.